Cristiano Ronaldo should be hailed for his charity work and is not someone who should be persistently put down, Memphis Depay has argued. 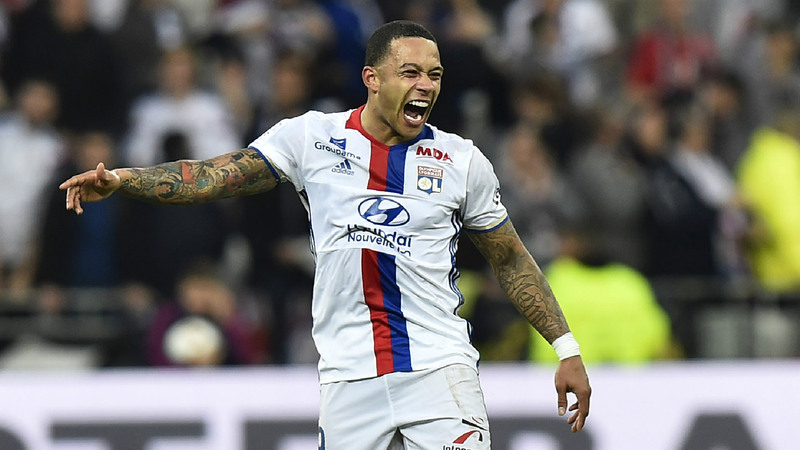 The Lyon winger holds the Real Madrid star as one of his idols and says he doesn’t understand why the Portuguese is so regularly a target for criticism. “I’ve got a great deal of admiration for guys who are successful,” Depay toldL’Equipe Magazine. “I don’t understand why some feel hatred towards them. Along with Patrick Kluivert, Arjen Robben and Lionel Messi, Depay picked the Ballon d’Or holder as someone he continues to look up to. “These guys are footballing legends who always want to win and who are a source of inspiration for young players,” he said. There is still a certain amount of confusion in France as to whether he should be called ‘Depay’ or ‘Memphis’, which he wears on the back of his shirt because his father walked out on his family when he was just four. “You can call me what you want,” he said. “OK, so you want to get to the bottom of it. OK! “I spent a period of my youth that many would find it tough to understand. It was full of things that I’ve never spoken about. Maybe I’ll write a book one day about where I came from. “But this story with my dad, it’s fine, it’s settled today. “Just before the holidays, I spoke to him. I had to do it, I am now an adult. I forgave him. “I suffered a great deal during my childhood. But I’ve grown up and become a mature man. Everyone makes mistakes. And his was a big mistake. “But if I’m not capable of forgiving him, I could never forgive myself. That’s not to say we’re going to be the best friends in the world, but it’s done and I’m happy.